Thank you for registering for the competition. We are pleased to announce that you have won a key ring. Your gift will be despatched to you by post as from the third week of February. Copyright © 2019 VAM Funds. All rights reserved. The distribution of the information contained on the website in certain countries may be restricted by law and persons who access it are required to inform themselves of, and to comply with, any such restrictions. The information is not intended to be published or made available to any person in any jurisdiction where doing so would contravene any applicable laws or regulations. Units or shares of the VAM’s funds described on this website are not available for sale in any jurisdiction in which such sale would be prohibited. By accessing the website, you confirm that you are aware of the laws in your own jurisdiction relating to the provision and sale of funds and related financial services products, and you warrant and represent that you will not pass on or utilise the information contained on the website in a manner that could constitute a breach of such laws by VAM Funds or any other person. The website does not constitute an offer or solicitation in any jurisdiction in which such an offer or solicitation is not authorised, or to any person to whom it is unlawful to make such an offer or solicitation. The website is provided for information purposes only and does not constitute investment, legal, tax or other advice or any recommendation to buy or sell any of the funds or stocks mentioned. Prospective investors should take appropriate professional advice before making any investment decision. Investments in the funds are to be made on the terms of the relevant prospectus and no reliance should be placed on the information contained on the website. VAM Funds makes every effort to keep the content of the website accurate and up to date, and while the information contained on the website has been taken from sources which VAM Funds considers to be reliable, no warranty is given that such information is accurate or complete and it should not be relied upon on as such. Any opinions expressed on the website reflect VAM Funds’ judgment at the date of issue of the relevant report and are subject to change without notice. VAM Funds will not be responsible for any liability for loss or damage of any kind which arises, directly or indirectly, from the use of the information contained on the website. The value of investments may go down as well as up and may be affected by change in rates of exchange. Investors may not get back the amount invested. Reference should be made to the prospectus in respect of the relevant fund for further details of the financial commitments and risks involved in connection with an investment in each fund. Past performance is not necessarily a guide to future returns. All transactions should be based on the latest available prospectus, the Key Investor Information Document (KIID) and any applicable local offering document. These documents together with the annual report, semi-annual report and the articles of incorporation for the Luxembourg domiciled product(s) are available in English on the website or from the office of VP Fund Solutions (Luxembourg) SA, 26, avenue de la Liberté, L-1930 Luxembourg. This website and any attachments thereto constitute factual, objective information about the fund and nothing contained herein should be construed as constituting any form of investment advice or recommendation, guidance or proposal of a financial nature in respect of the VAM Funds (Lux) and VAM Managed Funds (Lux) or any transaction in relation thereto. Collective Investment Schemes (CIS) are generally medium to long-term investments. CIS portfolios are traded at ruling prices and can engage in borrowing and script lending. A schedule of fees and charges, and maximum commission, is available on request from the manager. The value of investments, and the income from them, can go down as well as up, and you may not recover the amount of your original investment. Where investments involve exposure to a currency other than that in which the fund is denominated, changes in rates of exchange may cause the value of the investment to go up or down. Consequently, investors may receive an amount greater or less than their original investment. Performance methodologies can be obtained upon request from VAM Funds on marketing@vam-funds.com. All rates of return include reinvested dividends and are net of all management and performance fees. Details on the calculation of performance fees, where applicable, can be obtained by contacting marketing@vam-funds.com. The website is protected by copyright. The use of any trademarks and logos displayed on the website, without VAM Funds’ prior written consent, is strictly prohibited. Information on the website may not be published or redistributed without VAM Funds’ prior written consent. VAM Funds accepts no responsibility for the content of any other websites linked to this website, or for any products or services offered through such websites. The use of such other websites is at the user’s own risk. VAM Funds collects certain personal information about you, such as your name, address, telephone number, email address and other information when it is voluntarily submitted to VAM Funds on the website. Downloads from this website are permitted for your own use on the following basis: no documents or related graphics on this website are modified in any way; no images on this website may be used separately from related text. VAM Funds is concerned about your right to privacy. When you visit our website, the following data is collected: the type of browser used, geographical region, date and time of the connection from which the connection originates. pages visited during the connection and date and time the connection was severed. This information is used solely to determine traffic patterns on the site. No personal information is collected at any time. Any personal correspondence to us that originates from this site via one of the email links will be for internal use only and treated confidentially. We do not disclose personal information to any third party without consent. The distribution of the information contained on the website in certain countries may be restricted by law and persons who access it are required to inform themselves of, and to comply with, any such restrictions. The information is not intended to be published or made available to any person in any jurisdiction where doing so would contravene any applicable laws or regulations. Units or shares of the VAM’s funds described on this website are not available for sale in any jurisdiction in which such sale would be prohibited. By accessing the website, you confirm that you are aware of the laws in your own jurisdiction relating to the provision and sale of funds and related financial services products, and you warrant and represent that you will not pass on or utilise the information contained on the website in a manner that could constitute a breach of such laws by VAM Funds or any other person. The website does not constitute an offer or solicitation in any jurisdiction in which such an offer or solicitation is not authorised, or to any person to whom it is unlawful to make such an offer or solicitation. The website is provided for information purposes only and does not constitute investment, legal, tax or other advice or any recommendation to buy or sell any of the funds or stocks mentioned. Prospective investors should take appropriate professional advice before making any investment decision. Investments in the funds are to be made on the terms of the relevant prospectus and no reliance should be placed on the information contained on the website. 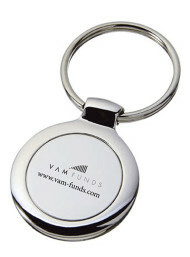 VAM Funds makes every effort to keep the content of the website accurate and up to date, and while the information contained on the website has been taken from sources which VAM Funds considers to be reliable, no warranty is given that such information is accurate or complete and it should not be relied upon on as such. Any opinions expressed on the website reflect VAM Funds’ judgment at the date of issue of the relevant report and are subject to change without notice. VAM Funds will not be responsible for any liability for loss or damage of any kind which arises, directly or indirectly, from the use of the information contained on the website. The value of investments may go down as well as up and may be affected by change in rates of exchange. Investors may not get back the amount invested. Reference should be made to the prospectus in respect of the relevant fund for further details of the financial commitments and risks involved in connection with an investment in each fund. Past performance is not necessarily a guide to future returns. All transactions should be based on the latest available prospectus, the Key Investor Information Document (KIID) and any applicable local offering document. These documents together with the annual report, semi-annual report and the articles of incorporation for the Luxembourg domiciled product(s) are available in English on the website or from the office of VP Fund Solutions (Luxembourg) SA, 26, avenue de la Liberté, L-1930 Luxembourg. This website and any attachments thereto constitute factual, objective information about the fund and nothing contained herein should be construed as constituting any form of investment advice or recommendation, guidance or proposal of a financial nature in respect of the VAM Funds (Lux) and VAM Managed Funds (Lux) or any transaction in relation thereto. Collective Investment Schemes (CIS) are generally medium to long-term investments. CIS portfolios are traded at ruling prices and can engage in borrowing and script lending. A schedule of fees and charges, and maximum commission, is available on request from the manager. The value of investments, and the income from them, can go down as well as up, and you may not recover the amount of your original investment. Where investments involve exposure to a currency other than that in which the fund is denominated, changes in rates of exchange may cause the value of the investment to go up or down. Consequently, investors may receive an amount greater or less than their original investment. Performance methodologies can be obtained upon request from VAM Funds on marketing@vam-funds.com. All rates of return include reinvested dividends and are net of all management and performance fees. Details on the calculation of performance fees, where applicable, can be obtained by contacting marketing@vam-funds.com. The website is protected by copyright. The use of any trademarks and logos displayed on the website, without VAM Funds’ prior written consent, is strictly prohibited. Information on the website may not be published or redistributed without VAM Funds’ prior written consent. VAM Funds accepts no responsibility for the content of any other websites linked to this website, or for any products or services offered through such websites. The use of such other websites is at the user’s own risk. VAM Funds collects certain personal information about you, such as your name, address, telephone number, email address and other information when it is voluntarily submitted to VAM Funds on the website. Downloads from this website are permitted for your own use on the following basis: no documents or related graphics on this website are modified in any way; no images on this website may be used separately from related text. VAM Funds is concerned about your right to privacy. When you visit our website, the following data is collected: the type of browser used, geographical region, date and time of the connection from which the connection originates, pages visited during the connection and date and time the connection was severed. This information is used solely to determine traffic patterns on the site. No personal information is collected at any time. Any personal correspondence to us that originates from this site via one of the email links will be for internal use only and treated confidentially. We do not disclose personal information to any third party without consent. Welcome to the new VAM website! As a first visitor, please enter your details to receive a free gift. 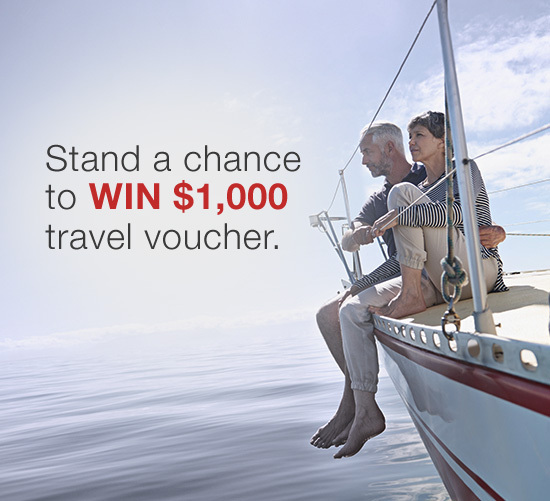 As a first visitor, please enter your details to receive a free gift and a chance to win $1000 travel voucher in our draw.